When Vodafone sold their US group, whose main asset was a 45% share in Verizon Wireless it was the third ever largest corporate transaction. Employees who were signed up to Vodafone share plans needed to understand what it meant for them. An infographic explanation of the transaction. Like the public, we were in the dark about the Verizon Wireless transaction until the announcement was made. That meant we needed to turn around communications to employees even faster than usual. As soon as the transaction had been announced we had to let employees know what to expect, what they needed to do and when. 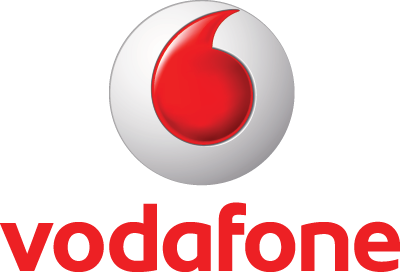 Within 24 hours of the announcement, we’d made content available on Reward Talk, the Vodafone reward website we built and keep up to date with the latest information. We sent just over 17,000 emails to employees around the world, the first of many during the transaction. The next 48 hours saw a flurry of project activity, booking a film studio and crew, briefing creatives and most importantly understanding the details of the transaction. Employees needed to know what this meant for their shareholding and what their choices might be – and so did we! The first challenge was to help employees understand whether they were even affected. We solved it with some simple flowchart logic to help them work out whether they were a current shareholder, or likely to be a shareholder following the transaction. Then we needed to manage expectations – while the transaction made all the headlines and was widely discussed in the media, the reality for employees was that there was very little they could do until the offer was released. And these things can take time! It was a really challenging internal communications conundrum, how to counter the noise in the mainstream media and keep employees engaged, while there was nothing they could do. An infographic cut through the complex subject matter to show a transaction breakdown along with important facts and figures. We were especially proud when a portion of the infographic made it into the official shareholder guide. An interactive decision helper for Reward Talk allowed employees to see their options and make informed choices about their shareholding. Despite tight deadlines we delivered an exciting set of new Vodafone reward content using multiple internal communications channels.